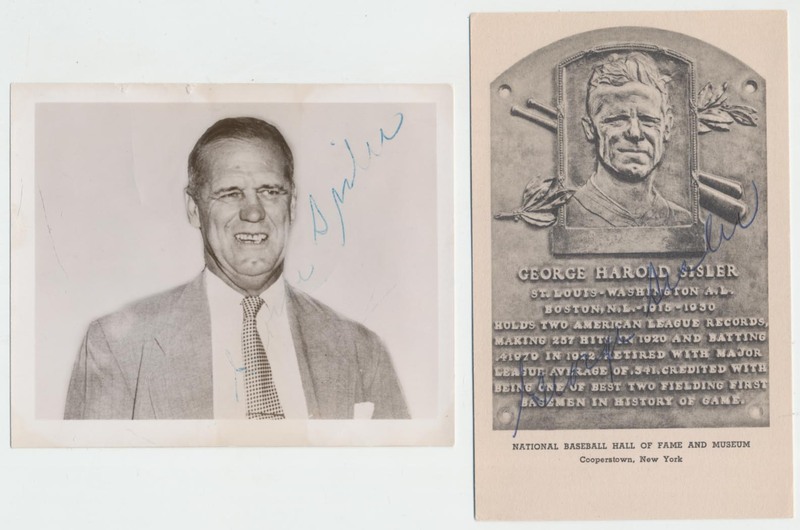 Nice trio of George Sisler items, this former .400 hitter and HOFer died in 1972. First is a clean signed black and white HOF plaque in blue ballpoint ink, second is a 5x4 photo and third is an ANS on a letter written to Sisler. The plaque alone retails for about $150. JSA LOA. JSA LOA.